Trade is anonymous and products are non-objects until a final destination is reached. Consumerism becomes the new product, manufactured, shrink wrapped cost effectively in the 20th Centuries former ideological battle grounds. 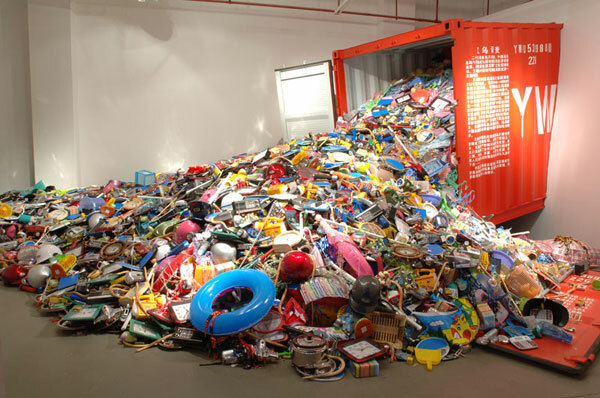 An installation work from 2006 by Liu Jianhua Yiwu presented 1000s of near unidentifiable trinkets pouring from a shipping container. This work provided one of the starting points for the 'Cargo Cult' Series, where containers create complex landscapes of unexplored ridges and valleys, their individual contents remaining a mystery. 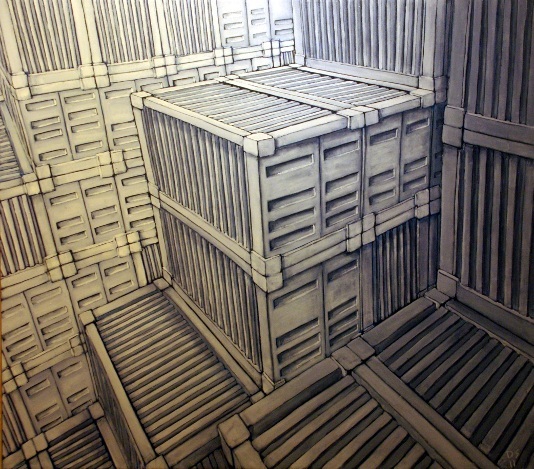 David Stephenson Cargo Cult 3 (2011) Painting, Acrylic on Canvas. 160cm x 140cm. 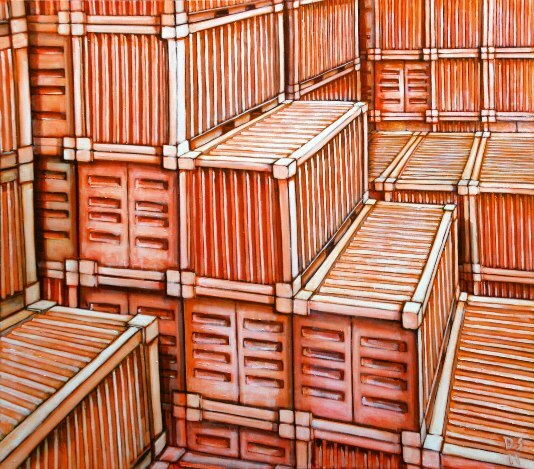 David Stephenson Cargo Cult 1 (2011) Painting, Acrylic on Canvas. 160cm x 140cm. 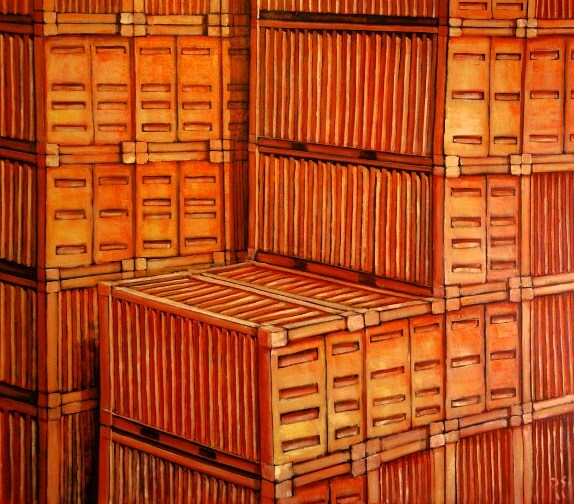 David Stephenson Cargo Cult 4 (2011) Painting, Acrylic on Canvas. 160cm x 140cm. 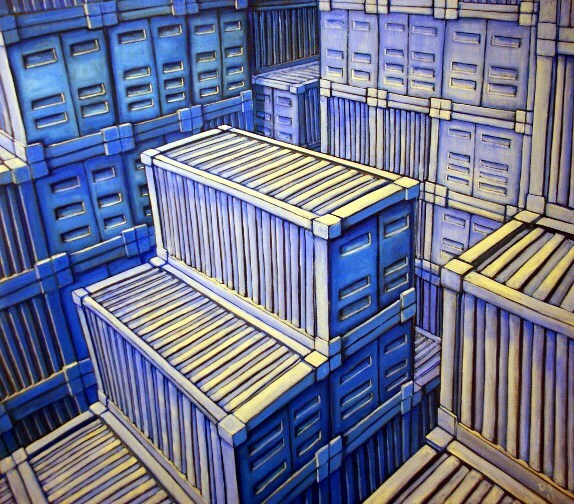 David Stephenson Cargo Cult 2 (2011) Painting, Acrylic on Canvas. 160cm x 140cm.